Liverpool goalkeeper Loris Karius deserves "a second chance" after his mistakes in the Champions League final, says Bruce Grobbelaar. The German, 24, has apologised after his errors helped Real Madrid win 3-1. Retired goalkeeper Grobbelaar won the 1984 European Cup and six English titles in his 13 years with Liverpool. He told BBC Sport: "They gave me two years of second chances, so why can't they give him a second chance after one game?" Grobbelaar, who played for Liverpool between 1981 and 1994, added: "They should keep him in the spotlight from next season." "First game back, get him back as soon as possible." 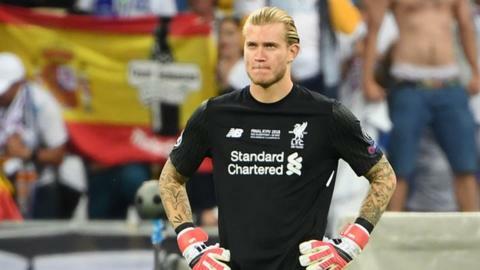 Karius' errors cost Liverpool in their attempt to become European champions for a sixth time, but Grobbelaar feels his former side are close. "Liverpool can win the Champions League next year but need two more players to add to the squad," Grobbelaar added. "They need a centre-half and a striker."